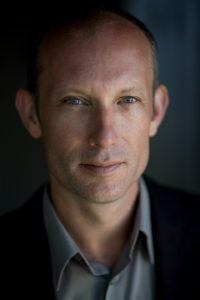 Francisco Park Conservancy is thrilled to announce Fletcher Studio as our selected designer of the children’s playground. Fletcher’s expertise combines landscape architecture, urban design, art and environmental planning to construct cutting edge innovative designs admired by adults and children alike. With two young sons and a design studio in the Dogpatch, the Francisco Park team is confident in Fletcher’s ability to transform the dilapidated reservoir into a fun, approachable, and aesthetically pleasing playground for all San Franciscans to enjoy. For a full list of the Francisco Park Conservancy’s team of experts, visit our website here. Stay tuned for more design team profiles in future newsletters. Aspiring playground designers test out potential materials. Thanks to all the children and adults from the community who joined us on Saturday, September 9 for the Playground Design Workshop! After our lead playground designer, David Fletcher, made a presentation about the history of the Francisco Park site and introduced potential playground concepts and materials, he and his team facilitated energeticbreak-out sessions. 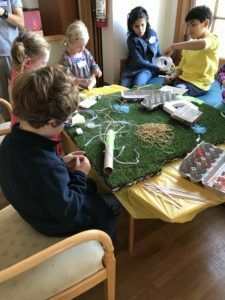 Children had the chance to design their dream playground elements using wire, tubes, tape, and an array of interesting materials Fletcher Studio provided. 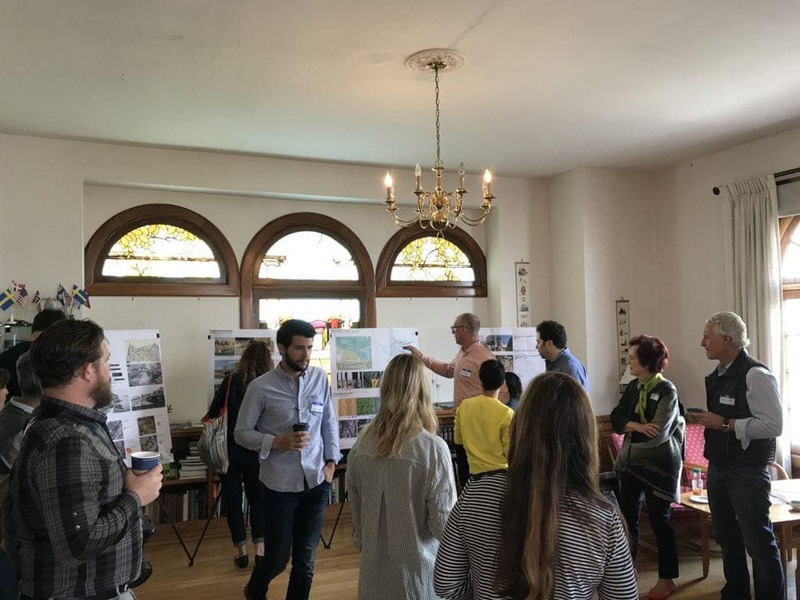 Groups of adults brainstormed on drawings of the site about which features and amenities would appeal most to families, including comfortable seating and good visibility to all areas of the playground. In the end, both children and adults presented their ideas to the group and we were thrilled with the creativity and valuable input! The children even took home Junior Playground Designer certificates and their own succulent plants. We look forward to sharing the playground design with the community as it develops. SF Recreation and Park Department staff recently removed a Monterey Pine on the reservoir site that was deemed hazardous due to infestation of Pitch Pine Bark Beetle disease. SF Recreation and Park will continue to monitor the remaining Pines on the site, some of which may have been impacted. The Francisco Park Conservancy and SF Rec & Park are committed to preserving as many trees on the reservoir site as possible. However, it is our priority to ensure public safety and keep the remaining trees healthy and thriving for years to come. Pruning of other trees will occur in the months ahead. For more information on the Francisco Park project, please visit: www.FranciscoPark.org. If you have questions or comments please send an email to: info@franciscopark.org or SF Recreation and Park Project Manager, Anne Baskerville: anne.baskerville@sfgov.com.